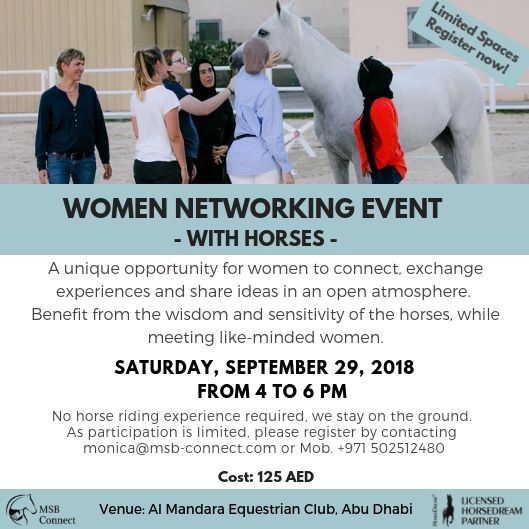 Join us for an afternoon of Women networking with horses at Al Mandara Equestrian Club in Abu Dhabi! The event is open for any woman who wants to make new connections, find out more about what you too can learn from horses, and to exchange experiences and ideas with other women. It is not about horses or horseriding! 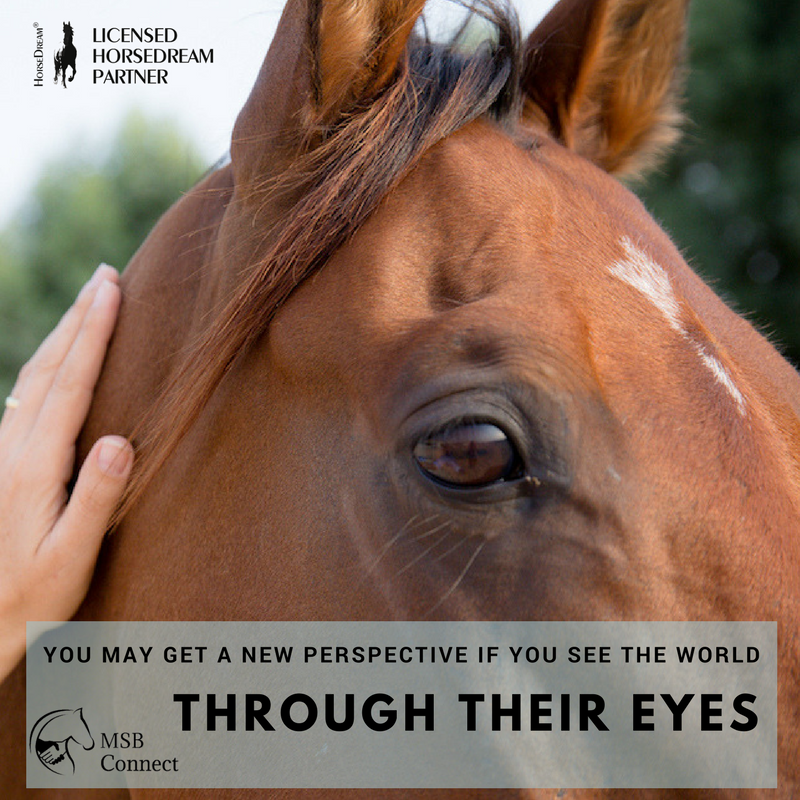 You don't require any prior horse experience, and even if you are wary of horses, that is absolutely fine! We will not be riding horses, nor will we teach you how to handle them. However, we will involve them in our conversations to create an open space where we can just be ourselves, feel connected to nature and to the herd, and to create effective networking! We want you to go back home with the feeling that you are being supported, and that there are other women out there who can help you, or that you can help them. Feel free to bring your friends along. Due to safety reasons and also for a more intimate connection, we have to limit the number of participants, therefore please sign up using the form below. 2. Where do we meet? We will start at 4pm on Saturday, September 29th in Cafe Mandarina which is located inside Mandara Equestrian Club on the outskirts of Abu Dhabi. Want more details about the venue? Have a look at the website of Mandara Equestrian Club. It is important that you bring closed shoes (please no sandals or flip flops) as we are walking through sand and you want to protect your feet. Also wear comfortable clothes and be ready to go outdoors for a while. 4. How do I sign up for Women Networking with Horses? There is a fee of 125 AED to cover the costs for the horses, facilities and F&B. Please note that we require the payment in advance to confirm your attendance - details will be sent to you via email. 6. Who can I contact for questions? We and the horses look forward to meeting you!